If you recently won the lottery, happen to be an heiress, are a super-successful entrepreneur, or merely want to treat yo'self for reals the next time you go to Disneyland, we've lined up the dream vacay for you. This is no stay at an off-part motel, smuggling in your own PB&Js and getting lost in a maze of lines. These nine tips are golden ways you can do Disneyland in the lap of luxury when money is no object - kind of like getting in touch with your inner Kardashian (as major Disney fans, you know they've indulged in most of these). 2. Enjoy a night in the Mount Whitney Suite ($3,500+ per night). For those looking for a room that's more classy, the signature suites at the Grand Californian Hotel & Spa seriously won't disappoint. This sprawling suite - one of four at the hotel (the others are the Arroyo, El Capitan, and Arcadia) - is a 2,272-square-foot opulent ode to the Arts and Crafts movement. The perfect place for entertaining, the Mount Whitney Suite can host about 70 visitors and boasts two fireplaces, an office, and views of the park. 3. Forget the corn dog: Make a dinner reservation ($180+ for two diners). While most of the culinary options at Disneyland skew more toward handheld offerings like hamburgers, hot dogs, and churros, there's plenty for those possessing a more discerning palate (such as the honey pear soup above). For a culinary adventure any foodie will love, the Chef's Counter at the Napa Rose inside the Grand Californian is an absolute must. There are two seatings per night; guests can choose from the standard menu or a four-course Vintner's Table prix fixe menu focused on seasonal ingredients, or the chef can create a custom meal based on the diners' preferences. As you might expect from a place called the Napa Rose, there's an incredible selection of wines to pair as well. 4. Don't go it alone: Get a "plaid"(approx. $2,500 for six hours). A Disneyland VIP Private Guide, AKA a "plaid" for their tartan outfits, effortlessly leads guests through the park in a way that avoids overwhelming crowds, lines, and hassles. These incredibly well-informed and charming guides help secure dining reservations, will give you access to exclusive VIP seating at the parades and shows and, last but so not least, will assist in skipping the long lines and getting you into the way faster FastPass queue. 5. Dine in style at 21 Royal (approx. $15,000 for 12 diners). Nestled next to the legendary Club 33 you'll find the swanky dining experience known as 21 Royal. Unlike the members-only private club next door, anyone can reserve this private dining room. 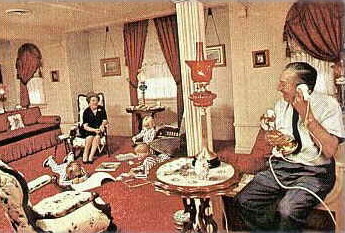 What was once to be Walt and Lilian Disney's family retreat has been reimagined into a suite of rooms for entertaining. The dining experience begins with cocktails served by butlers in the salon; then guests move to the outdoor patio for a spell; finally, dinner follows in an intimate dining room, which seats 12. The menu offered is tailored to the party's preferences and includes innovative culinary treats made with the freshest ingredients. Definitely a far cry from a hot dog from Award Weiners. 6. Get your spa on ($415+). Even when ushered around by a private guide, you know your dogs are going to be barking after walking all over the parks all day. That's where the Mandara Spa at the Grand Californian comes in. One of the premier offerings is the customized 80-minute couple's massage ($415). If you really want to indulge, you could add in a Musclease Aroma Spa Ocean Wrap ($135), an Elemis Pro-Definition Lift and Contour Facial ($190 for 60 minutes), and an Exotic Frangipani Monoi Salt Glow and Nourish Wrap ($80). 7. Splurge on a fancier accessory than Minnie Ears ($6,565). It's pretty much impossible to go to Disneyland and not pick up a souvenir or two. While getting a pair of ears, an iconic balloon, or an enamel pin commemorating your favorite ride is pretty de rigueur, those with discerning tastes might wanna get out the platinum card for something a bit more substantial. One choice for those who like to sport a bit of bling is this Mickey Mouse platinum and diamond necklace, found on site in stores on Main Street such as the New Century Jewelry Shop. Mickey in diamonds really does go with everything! 8. Get on the waiting list for Club 33 ($25,000+). You can't just call up Disneyland and say, "Hey, make me a member!" After all, it's one of the most exclusive and coveted clubs in the nation for a reason. After doing time on a waiting list, if you're lucky, you'll need to go through a lengthy (and mysterious) screening process, which may or may not include interviews, references, essays, and naming your firstborn after an iconic Disney character. Once you jump through all the hoops, you can have the opportunity to join for an initiation fee rumored to be about $25,000 and with another $10,000 a year in dues every year. 9. Make a whole weekend of it with Adventures by Disney ($2,239+ per adult; $2,129+ per child). Why plan a thing when you could have Disneyland's travel arm do all that work for you? Their four-day, three-night Disneyland Resort and Southern California Short Escape is sprinkled with "backstage magic," including visits to The Walt Disney Studios and the Disney Archives, a private tour of Walt Disney Imagineering, and exclusive experiences at Disneyland, like seeing Walt Disney's private apartment.